Probably my favorite feature of my RAV4 is the proximity key system. My key never leaves my bag, I unlock the door by putting my hand on the door handle, and I push a black rubber button to lock the car. When your only two cars have been a truck without power locks and a car with proximity key, you really like proximity key. I have sensors on the driver’s door, the passenger door, and the rear gate. Many cars are finally getting these systems, but some cars have a feature I really like: sensors on every door. 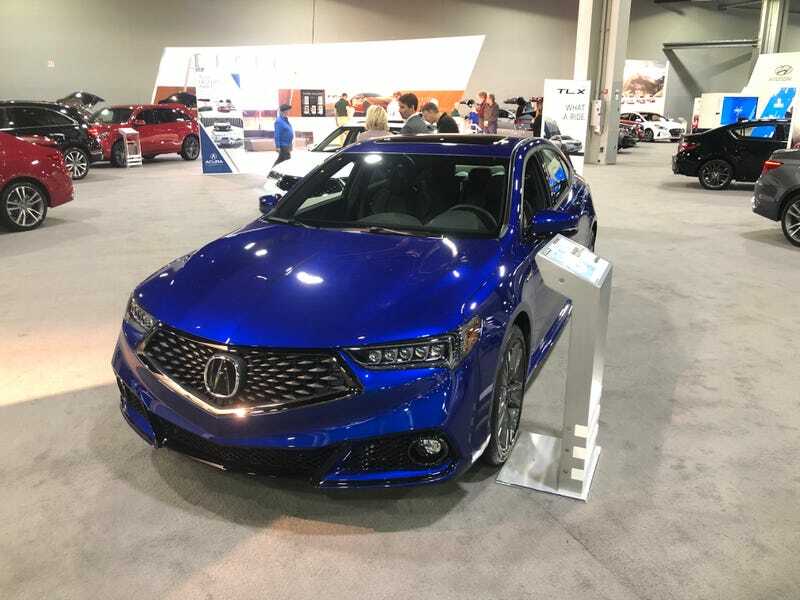 The blue TLX above was one of my favorite vehicles at the auto show in terms of equipment. It was a beautiful color, and it had AWD, safety tech, cooled seats, and keyless access on all four doors. Rather than putting my hand on the passenger door to unlock the backseat doors, I could unlock the car by opening a backseat door. This is an awesome feature, and cars like the Lexus ES have had this for a while. Even most of GM’s new lineup has keyless access on every door, but they removed it for the Malibu and the Cruze for unknown reasons. When I was thinking about a car for the future, I was thinking “I’d love proximity key on every door.” Other than luxury cars and GM vehicles, which cars have keyless access on every door?